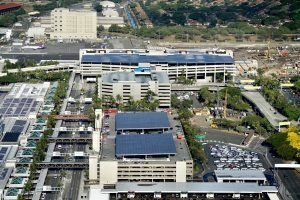 HONOLULU – The Hawaii Department of Transportation (HDOT) is pleased to announce the completion of the installation of 2,980 additional photovoltaic panels on the 5th floor of the Terminal 2 (formerly the Overseas Terminal) garage at the Daniel K. Inouye International Airport (HNL). 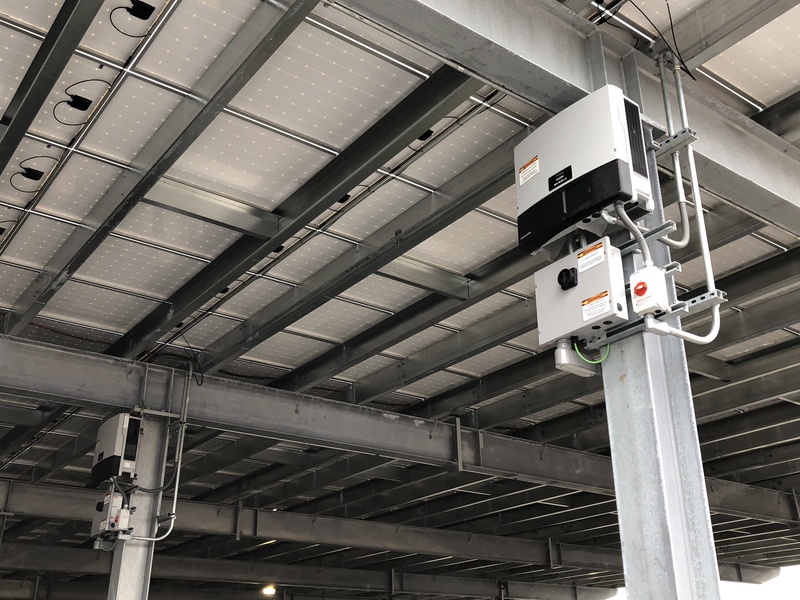 Construction on the Terminal 2 panels began on Jan. 7, 2019, as part of HDOT’s sustainability and energy savings efforts. 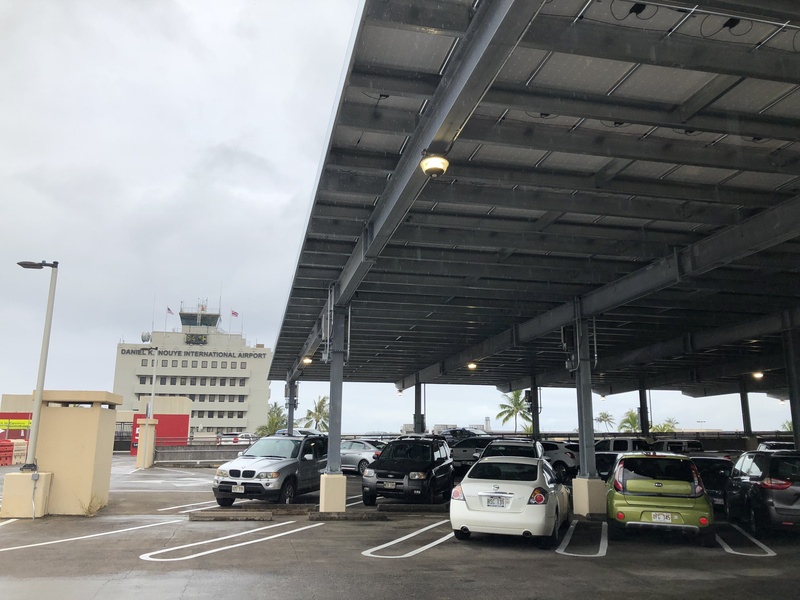 The photovoltaic installation on the Terminal 2 garage is the latest improvement as part of HDOT’s Energy Savings Performance Contract with Johnson Controls Inc. 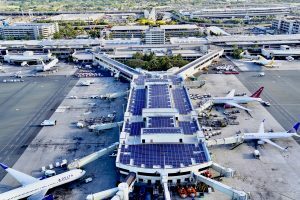 The 20-year contract, which began in 2014, is forecasted to result in $600 million in energy savings for the airports division through the life of the contract and is the largest single state contract of its kind in the nation. 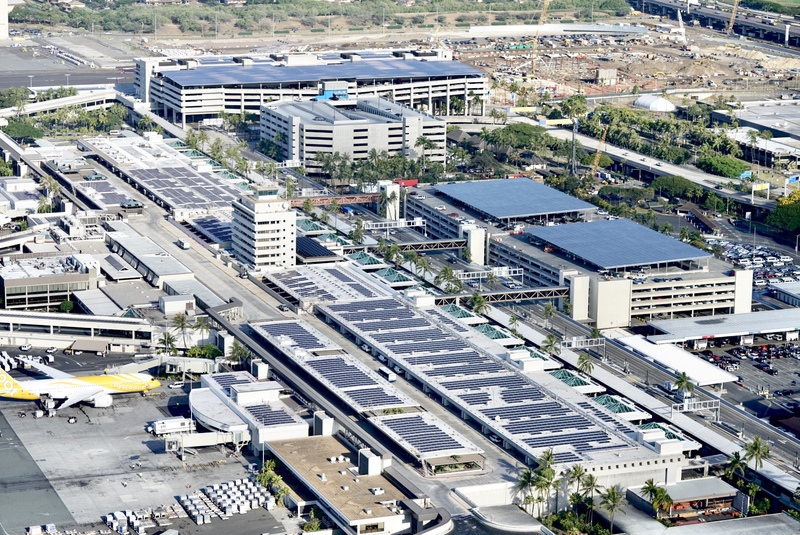 The 5th level of the Terminal 2 parking garage was closed to the public when the installations began in January. As the project progressed, stalls were reopened for public use. As of midnight, March 29, 2019, all 410 stalls are open and available to the public. 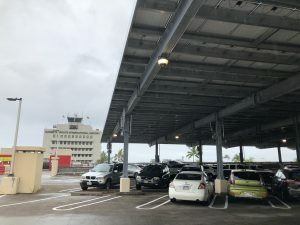 In total at Hawaii’s airports, HDOT and Johnson Controls Inc. are replacing nearly 98,000 light fixtures with high-efficiency light-emitting diode (LED) technology and energy efficient lighting, upgrading ventilation and air-conditioning systems and installing more than 24,000 solar photovoltaic panels. The $207 million investment is financed from guaranteed energy savings, not taxpayer funding. 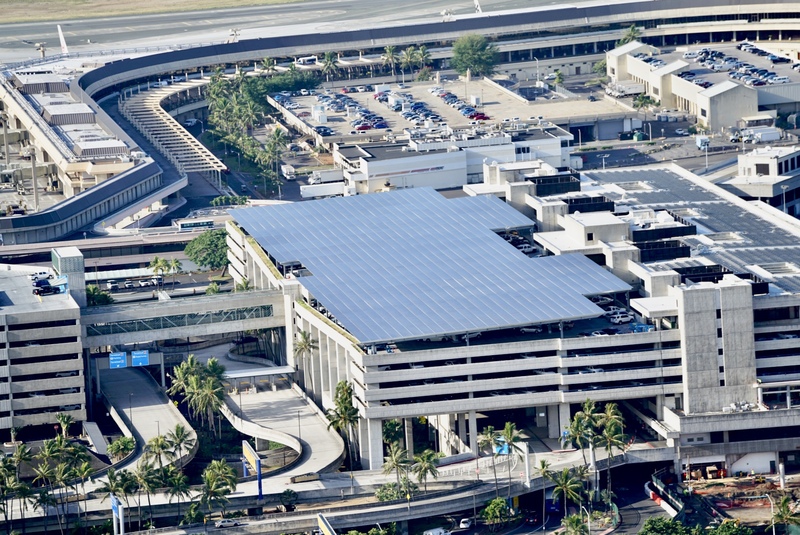 Photos of the completed photovoltaic installations at HNL are available below. Please courtesy “Hawaii Department of Transportation” or “HDOT” if they are published. 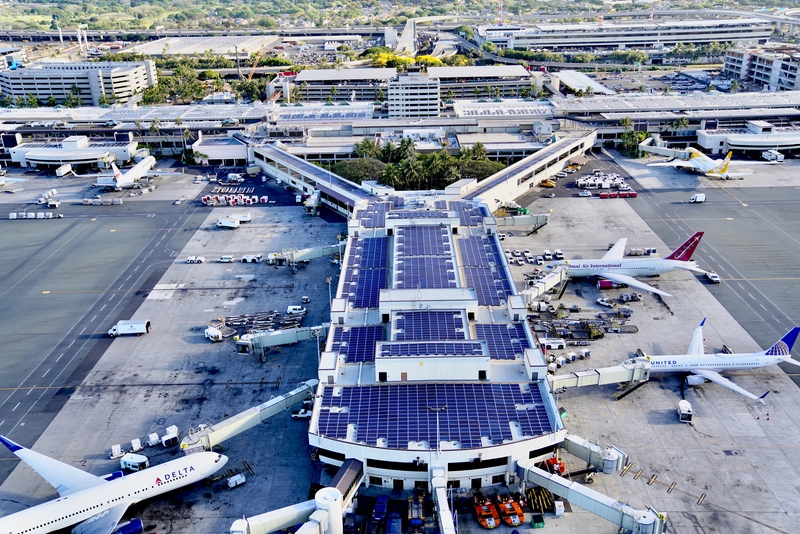 Aerial view showing many of the 24,000 solar panels installed throughout the Daniel K. Inouye International Airport (HNL). Aerial view showing the Terminal 2 garage solar panels at HNL in the foreground. 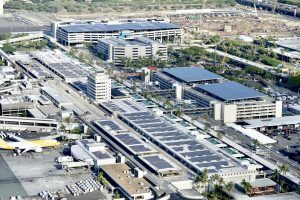 A solar canopy holds nearly 3,000 new solar panels on top of the Terminal 2 parking structure and provides shaded parking for vehicles. A view from under the solar canopy on the Terminal 2 parking structure. 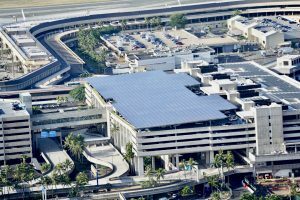 More than 4,200 solar panels were installed on the Terminal 1 parking structure in November 2018. 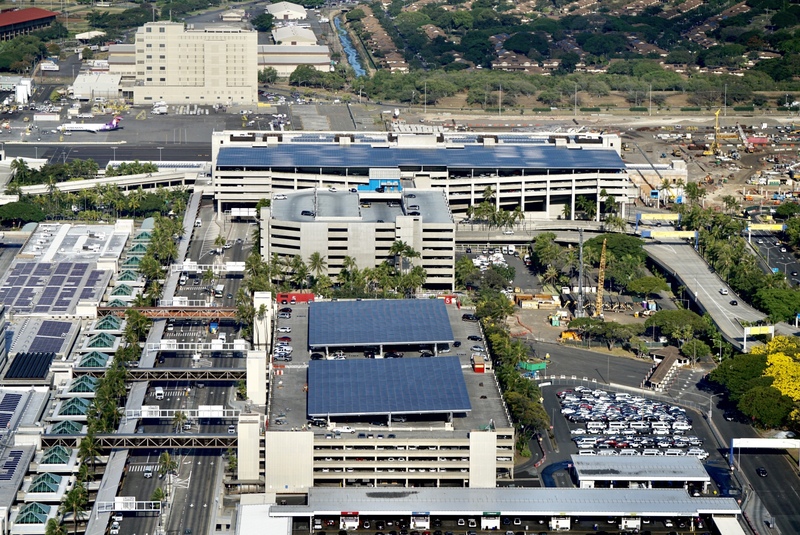 Another aerial view of the solar panels on top of the Terminal 1 parking structure at HNL. 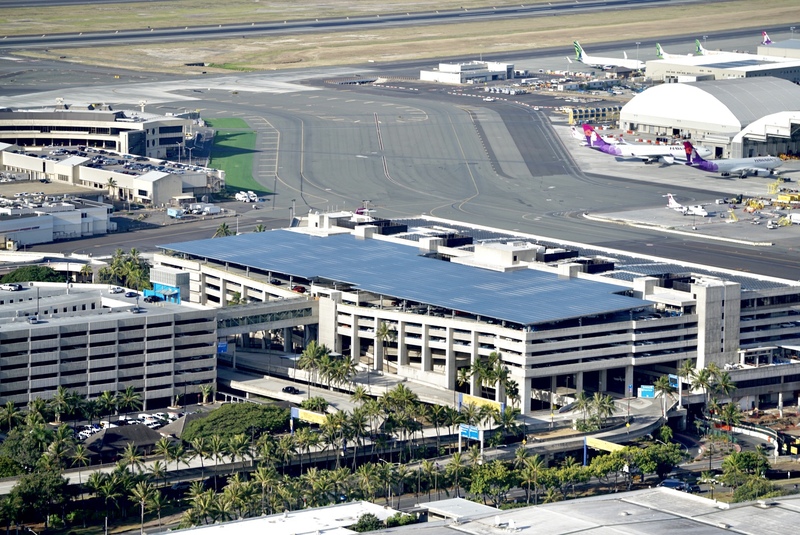 Solar panels at HNL including on the Central Concourse in Terminal 2.